Nothing feels so cozy and warm underfoot as new carpet. 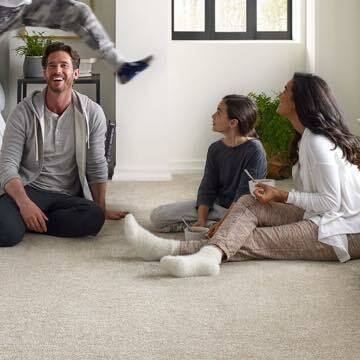 To get the look you want and help your new carpet last as long as you expect it to, you should consider hiring a professional to install your new carpet. A qualified pro will have the experience and knowledge needed to get the job done right the first time. 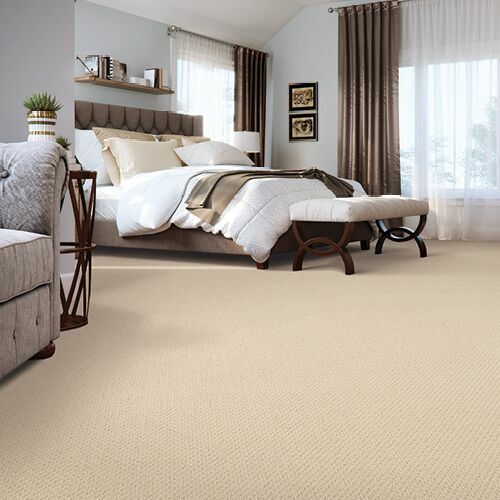 If you plan to install your own carpet, be sure to check the manufacturer’s warranties and approved installation guidelines. This will help ensure you’ve got coverage and support if unforeseen issues should arise. Tack strips are slats of wood nailed to the floor around the outside edge of the carpet installation area. There are angled pins sticking off the top surface that catch hold of the carpet and keep it in place, allowing it to be stretched tight into position. About a foot and a half long, this tool has teeth at one end that grip the carpet, and a pad at the other end. The teeth grip the surface of the carpet, so it is pushed toward the wall when the installer strikes the padded end with one knee. This causes the carpet to catch on the tack strip in a stretched position. This is a spiked cylinder-shaped roller with a handle, something like a small paint roller. The installer uses it to press down on the seam between two pieces of carpet so it sticks to the adhesive applied underneath. This ensures a solid reliable seam in doorways or other high-traffic areas. Preparation is important for a successful carpeting installation. 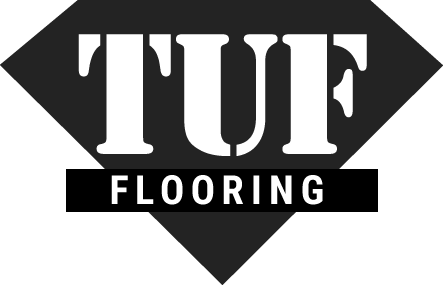 You should consult with a TUF Flooring specialist for complete, thorough instructions, but here are steps you can take to help the process go smoothly. If your old flooring has to be removed there may be extra work involved in getting the underflooring ready for your new carpet installation. If the old flooring was glued down or set in place with tile adhesive, the residue will have to be scrapped away. A flooring specialist can make this process much easier. An experienced professional will know when the surface is ready for use and may be able to assist you with the disposal of your old flooring. All the furniture will need to be removed from the room where your new carpet is to be installed. Professional movers and storage experts can make this much easier, especially for furniture items requiring special care. Professional movers can save you a lot of time, also, cutting down on the amount of time you have to live without your furniture to as little as a day before and after the carpet is installed. An adult member of your household will need to be present when your carpet installer arrives. This person will need be able to show the installer to the job site. For everyone’s safety and to make the job easier, keep children and pets away from the work area until the job has been completed. Your lead installer will be able to answer your questions about the finished product and advise you on how and when you can start using your new carpet.